Illumatik is a young and enthusiastic Belgian company active in 3D, mapping and VR. "This mapping project was a new experience for us. We have been genuinely satisfied with the visual result and even more with the interaction generated with bystanders in front of the shopping windows. We are aiming to repeat the experience and to push our limits even further into the concept." "It's my third Optoma projector. In the past, I used them to project content during music events (mapping and VJing) and I've never had any issues. I find them rock solid and for me, it's simply the best quality/price ratio I could find. "For the J&JOY project, the throw ratio of the Optoma W320UST (0,27:1) and the 4000 lumens were crucial." Задача: J&JOY is a chain of fashion outlets originating in Belgium renowned for its colourful clothing range. J&JOY wanted to attract and wow shoppers, creating a sense of wonder and excitement with bright, colourful and eye catching imagery in the window display of its flagship store in Liège, Belgium. Решение: With limited space, it needed to incorporate the projector to tie in seamlessly with the merchandising without imposing on the window display. Instead of using LCD rectangular displays, Illumatik proposed an unconventional mapping solution. Using Optoma's 4,000 lumen ultra short throw W320UST projector in conjunction with rear projection vinyl, dynamic shapes could be used to project captivating imagery onto the store window. Результаты: J&JOY's flagship retail store saw its shop window display transformed. A bright 2D/3D animation was achieved, grabbing the attention of passersby, enticing them to watch the sequence of imagery unfold. For the duration of one month in the run up to Christmas, Illumatik was to provide a catchy multimedia animation display to the J&JOY flagship store front. This "retailtainment" spectacular would be running daily between 16:00 and 01:00 and, with limited space required a reliable projector with a short enough throw to fulfil the brief. Everything would be fully automated with remote feedback and support. 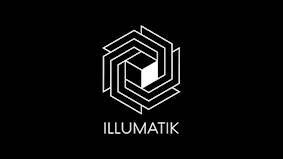 Illumatik decided to propose something different other than a square projection. They projected from behind the glass on a hexagonal projection vinyl, using Resolume Arena. The projection took place every day between 16:00 and 01:00. During the day, the white vinyl hexagon appeared as regular branding featuring the J&JOY logo which appeared black during projection. 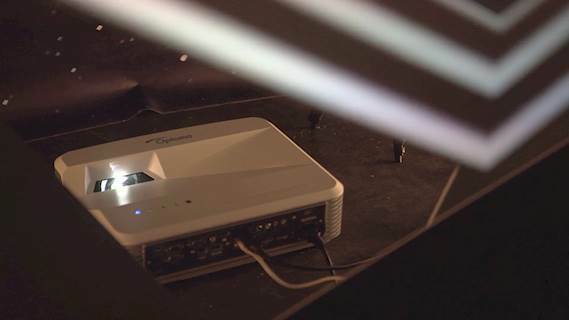 The W320UST was chosen because of its bright 4000 lumens and the limited space behind the storefront meant an ultra short throw projector was necessary. An NUC computer was linked to the projector via LAN to schedule the projections. A web cam enabled them to check via a smartphone that everything was on track. The computer had a VPN so that content could be changed or issues could be resolved remotely if necessary. J&JOY's flagship retail store saw its shop window display transformed with a bright 2D/3D animation. The visually stunning display 'wowed' Christmas shoppers passing by throughout the bustling month of December. The feedback received was extremely positive. Pierre Hamblenne, CEO of J&JOY commented: "This mapping project was a new experience for us. We have been genuinely satisfied with the visual result and even more with the interaction generated with bystanders in front of the shopping windows. We are aiming to repeat the experience and to push our limits even further into the concept." W320UST in conjunction with an ultra short throw rear projection vinyl, NUC computer via LAN and webcam.